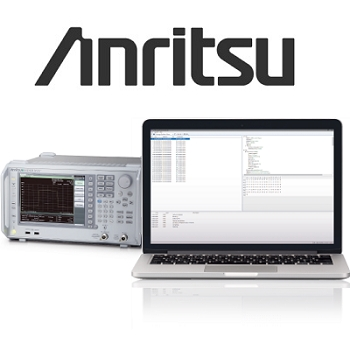 Anritsu has launched a new V2X 802.11p Evaluation Software MX727000A, the first of its kind solution that supports V2X message analysis for US, EU and Japan vehicle-to-vehicle and vehicle-to-roadside (V2X) communications standards. V2X communications is a critical element in the future of the connected car, with the first IEEE802.11p-compliant V2X services already being deployed in Japan, and the US and Europe rapidly rolling out commercial services. However, each region is using a different V2X standard, requiring automobile, in-vehicle and roadside equipment manufacturers to develop communications equipment supporting different regional standards. This is also coupled with the additional burden on development engineers to search and analyze large volumes of protocol data from V2X systems in order to identify incorrect message definitions. The MX727000A PC application software product line is composed of three versions for the US (MX727020A), Europe (MX727030A), and Japan (MX727040A) and can be used in combination with either the Anritsu Signal Analyzer MS269xA or MS2830A to analyse V2X messages captured from in-vehicle and roadside equipment. The Signal Analyzer captures the live V2X messages exchanged between the vehicle and roadside equipment, which are then analysed by the MX727000A software to provide objective evaluation results. Click here to learn more.